Neukom Post Doctoral Fellow, Joseph Dexter and Neukom CompX Faculty grantee, Pramit Chaudhuri bring a two part conference on the Computational Approaches to Premodern and Non-Western Literature to Dartmouth. Wednesday, May 8 - Reception and Keynote, 6:00pm Filene Auditorium. This symposium will explore new techniques for moving image analysis that is augmented by computational methods and tools. Cyrus Farivar, a reporter with NBC News' Tech Investigations, will be discussing his second book Habeas Data: Privacy vs. the Rise of Surveillance Tech. 18 essays were published in American Anthropologist that Neukom Postdoctoral Fellow Rick W.A. Smith co-edited, he also co-authored three pieces in the series, two which were framing and history of science pieces, and one piece on queer science. 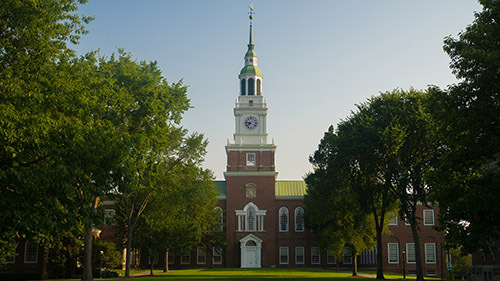 Winners of the 2019-2020 Neukom Institute CompX Faculty Grants Program for Dartmouth faculty have been announced for one-year projects. Alasdair Rae (Urban Studies & Planning, University of Sheffield) will be giving a public lecture on "People, Places, and Algorithms", Monday, March 4 at 4 pm — Dartmouth College, Steele 006. A Neukom Institute Sponsored Event. Learn about the funding opportunities available to faculty. Learn more about the recent work of our fellows, students, and grant recipients. Learn about the funding opportunities available to undergraduate students.